The first six months of collecting rhino data in the field are behind me and it has been a period full of challenges, adventures and surprises. In February one of my study females delivered a new calf. On one morning I saw her 3.5 year old male calf wandering around by himself on an open field and that was when I knew that we could expect a new life in the reserve. And suddenly, only 4 days later on a late afternoon, I was privileged to witness this young baby calf, only a couple of days old, jumping happily around its mum. Luckily after a week of loneliness, rejections from other rhinos and uncertainty her older calf also found a group that accepted him to hang around with. Yes, a pretty stressful moment in a rhinos life! Suddenly being left alone to become a grown-up rhino. It felt very special to witness this big event. I’ve learned that a new baby not only affects the mother but the lives of all rhinos in the same area. 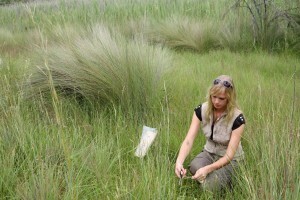 I have also added a new side project to my PhD which is a collaborative approach together with San Diego Zoo. 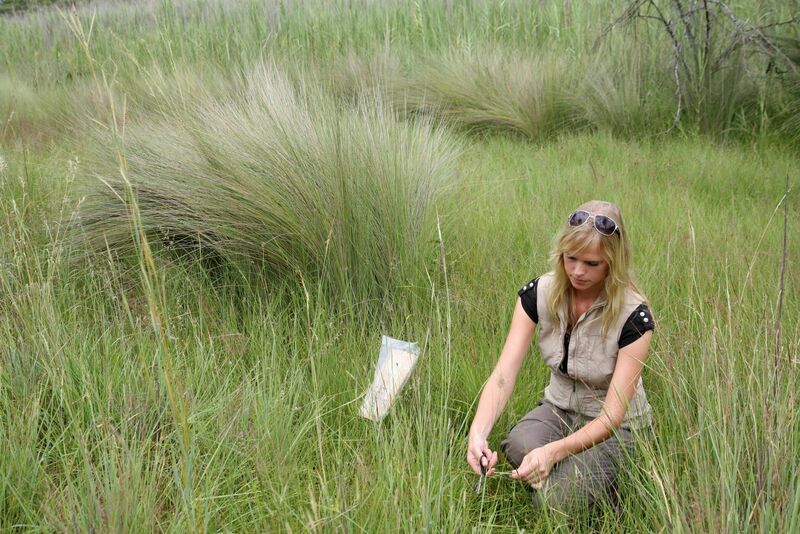 The concept of this study is to collect grasses that I see the rhinos eat and analyse the levels of a group of chemicals found in plants called phytoestrogens. The results will be compared with levels found in diets of captive rhinos. 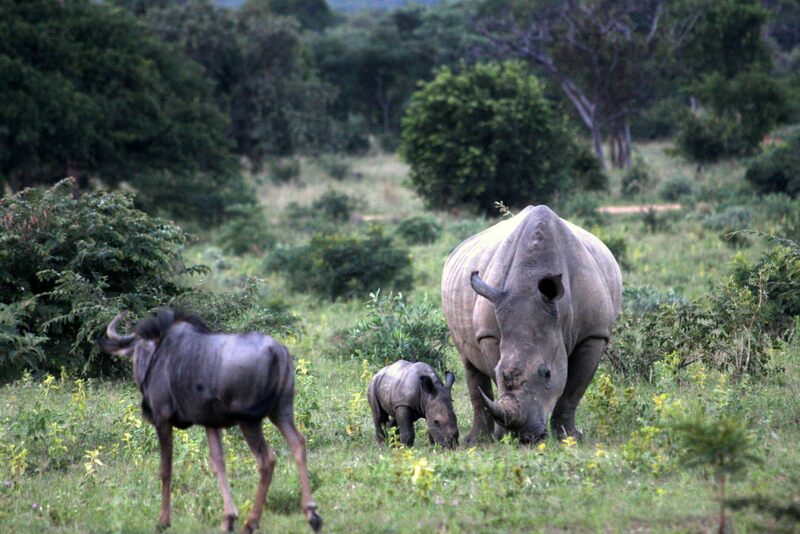 It has been suggested that phytoestrogens can act like natural estrogen inside the body and therefore might influence cyclicity and breeding success in the white rhino. Another aspect I have added to my field work is using my time in the reserve to educate people from the surrounding communities about the importance of rhino conservation. 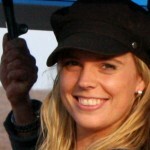 As of May 2012 I will start teaching South African high school groups that visit the reserve to educate them about rhino facts and myths and also to make them aware of the benefits it can have for them to preserve this unique species and how they can make a difference themselves as an individual. And where to better start with bringing over this message than with the smallest. 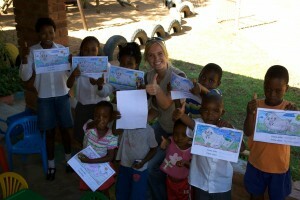 A month ago I organised a rhino drawing contest for the children of the staff in the reserve. They all got to give their own rhino a name and the winner got a sweet present. The message was clear. “Rhinos are COOL! !” is what I hear now from across the street every time I pass the day nursery.